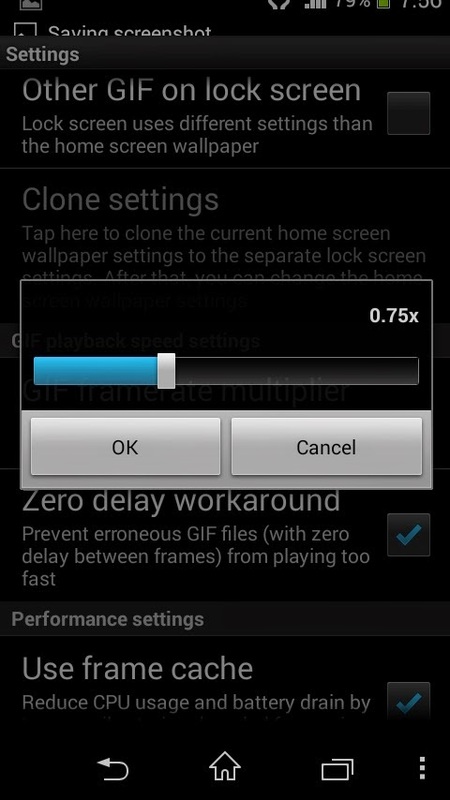 When animated GIF wallpapers are used as homescreen wallpapers on android then they act like static wallpapers and you do not see any animation. 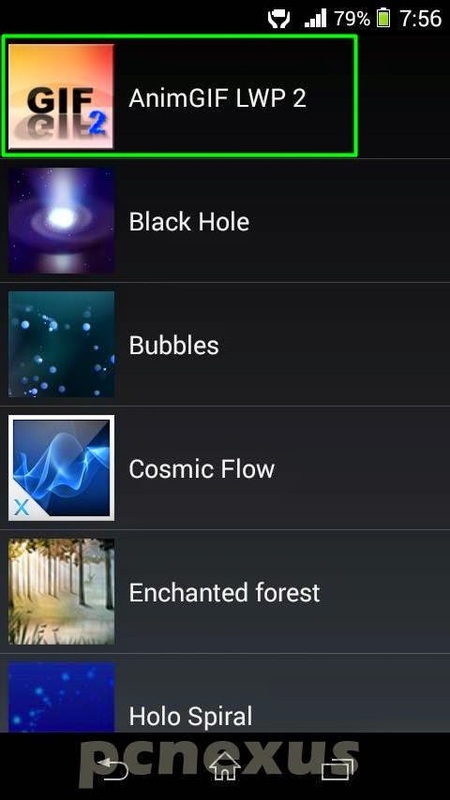 Android does not allow the animated GIF to be used as animated homescreen wallpapers because android supports only two types of wallpapers static and live wallpapers. 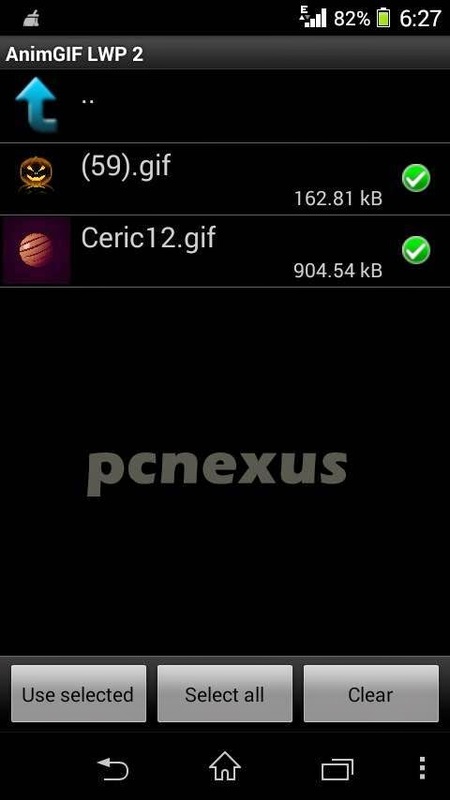 Static wallpapers are just photos or images, an android LWP is animated which can respond to user input. 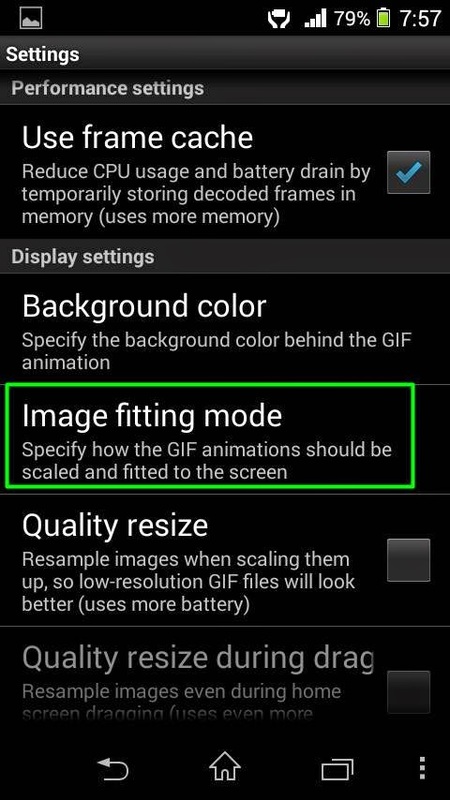 That's why android treat GIF images as static wallpapers that's why they do not animate on homescreen. 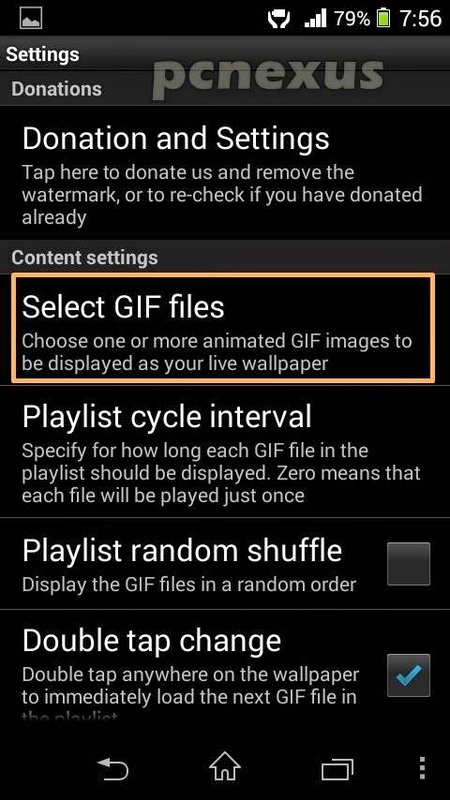 In this tutorial I am going to teach you how to set animated GIF as Live wallpaper on android. 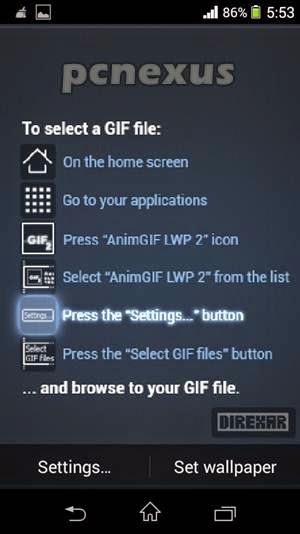 For this purpose we will use an android app 'AnimGIF LWP 2' which will convert GIF images into android Live Wallpapers and you can set them on homescreen. Open the app and tap 'AnimGIF LWP 2'. Tap 'Settings' then tap 'Select GIF files'. Browse the images on your sdcard or internal storage. All GIF images should be in same folders. You can select multiple images. Tap 'Use selected'. 'Double tap change' should be checked. 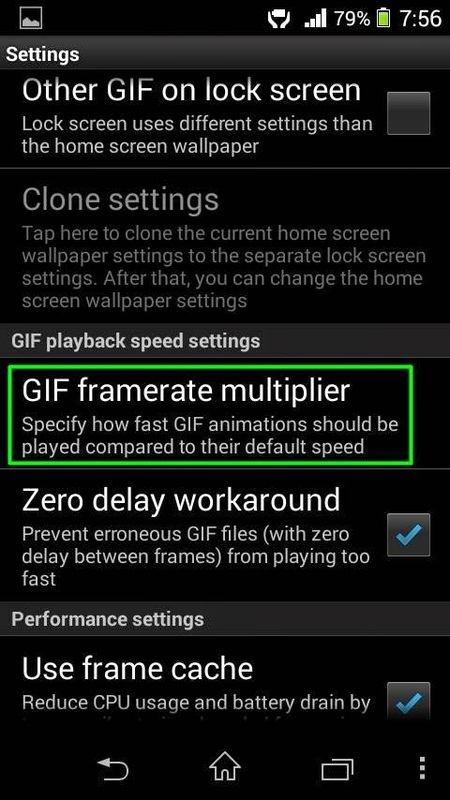 Scroll down and find 'GIF framerate multiplier'. Tap it and increase value for fast animation on homescreen and decrease value for slower animation. 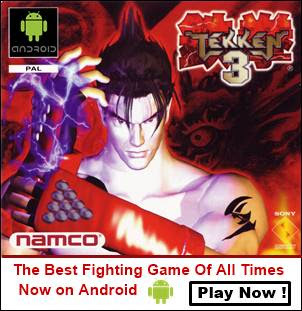 Scroll down and tap 'Image fitting mode'. 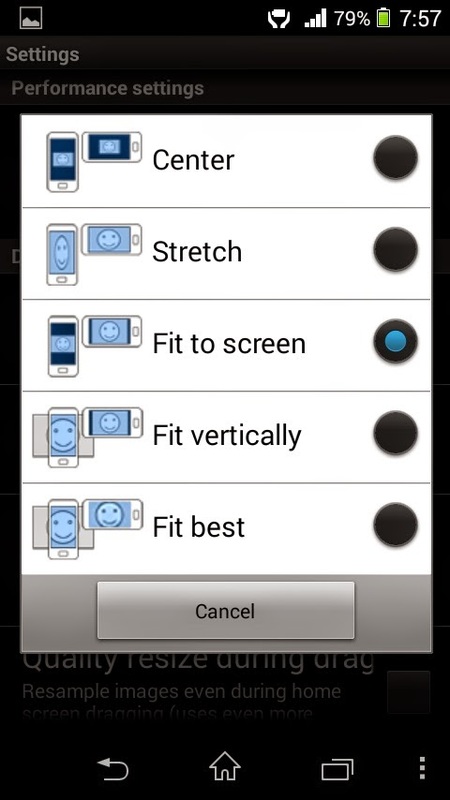 Here select the option which best suits your phone's screen like 'center', 'stretch', 'Fit to screen', 'Fit vertically' or 'Fit best'. 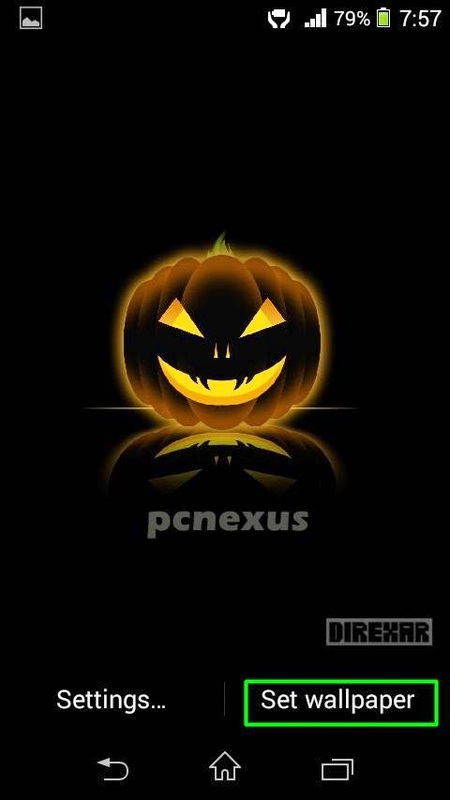 Now tap back button and choose 'Set wallpaper'. Note: If you have selected multiple images then double tap on screen to change the wallpaper. This is the best way to set your favourite animated images as LWP on android and this doesn't waste much battery because its a single app which is converting animated GIF into Live wallpaper.